In the not-so-distant past, I participated in a sequence of Intel-sponsored global app development competitions. Each of the competitions focused on rapidly developing applications for new and forthcoming technologies that Intel and partners were promoting. In fall-2012, I developed a casual coffee-break style game as part of the first App Innovation Contest, hosted by CodeProject. The competition was to help showcase cutting edge features of Intel's Ultrabook™ line of laptops. 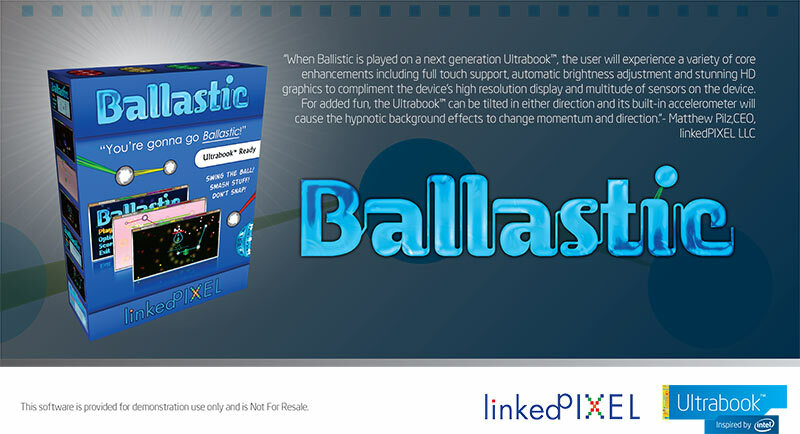 The game that I developed in a very short window of time, Ballastic, utilized many of the Ultrabook's sensors for various creative purposes including touch, accelerometer and ambient light detection. However, the core game itself was equally fun on a standard mouse-controlled computer. Apparently the judges liked it, as it ended up winning the grand prize for the gaming category. Intel conducted a case study with me and this little app even made its way to some part of the Consumer Electronics Show the following year. Anyway, the app was really only promoted in niche markets and was featured on the now defunct Intel AppUp store, where it targeted a particular line of Ultrabook devices. The game remained mostly dormant as other projects and work consumed my time over the next several years (including two additional grand-prize winning apps produced for subsequent Intel competitions). At some point back I established a Steam Greenlight account but did not do much with it, so decided on a whim that this would be a good game to put up as a quick test. Realistically, it is unlikely that this particular game or page will ever get substantial views let alone enough positive votes to push it through ("not with that attitude it won't!"). At any given moment there are thousands of games battling for votes at Steam Greenlight, many AAA titles as well. From what I gather, it generally takes a tremendous amount of social networking prowess and a stroke of luck to conjure a significant amount votes. I don't personally plan to do much promotion beyond this blog entry; the game is a freebie so there is not a particularly high incentive to go all-out with this campaign. But I see no harm in test-driving the Greenlight platform and look forward to the statistics when all is said and done, including some colorful comments if other Steam pages are anything to go by. Anyway, if you feel the game looks fun and deserving to be part of the Steam market please go and cast your vote!